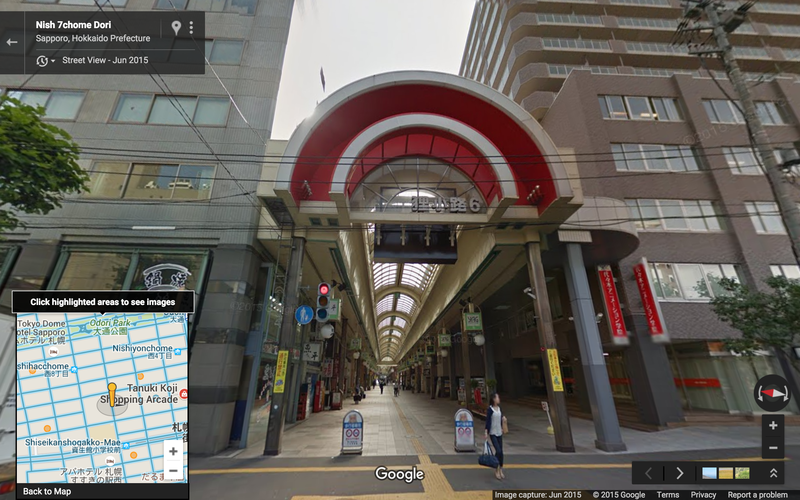 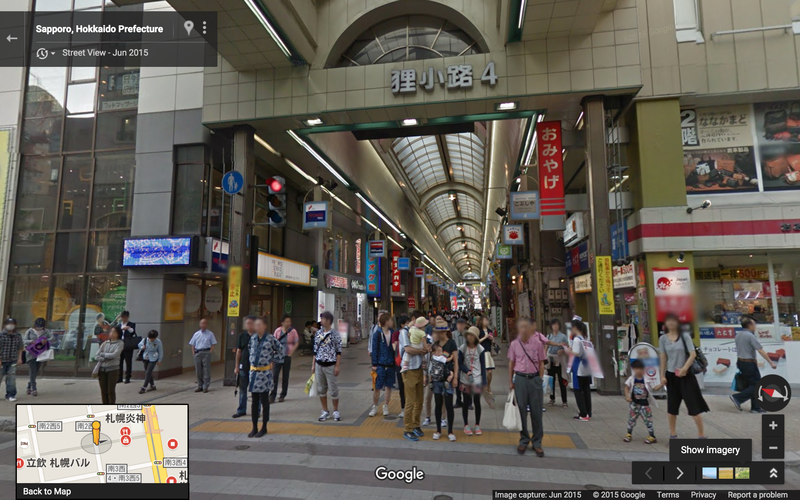 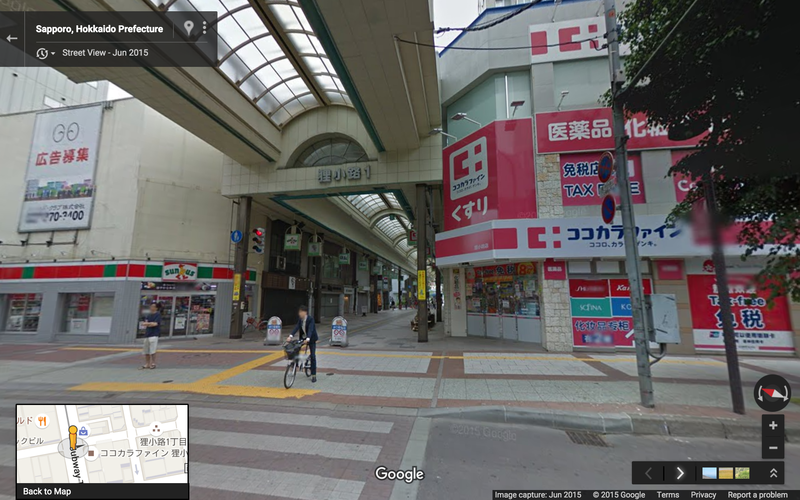 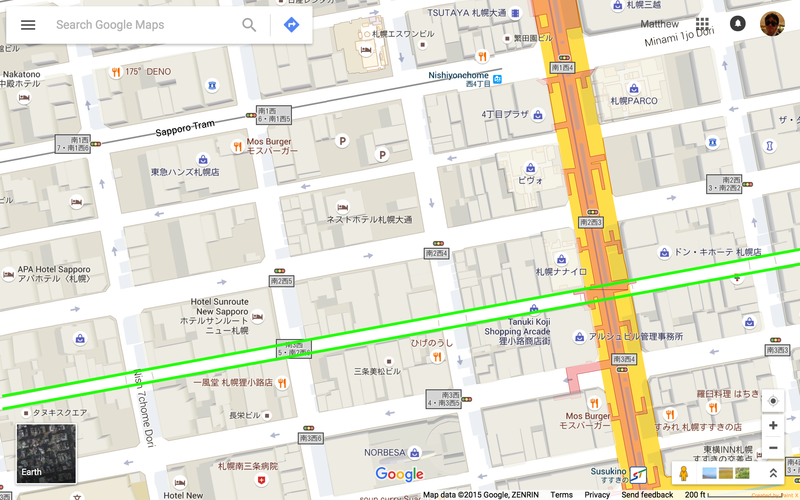 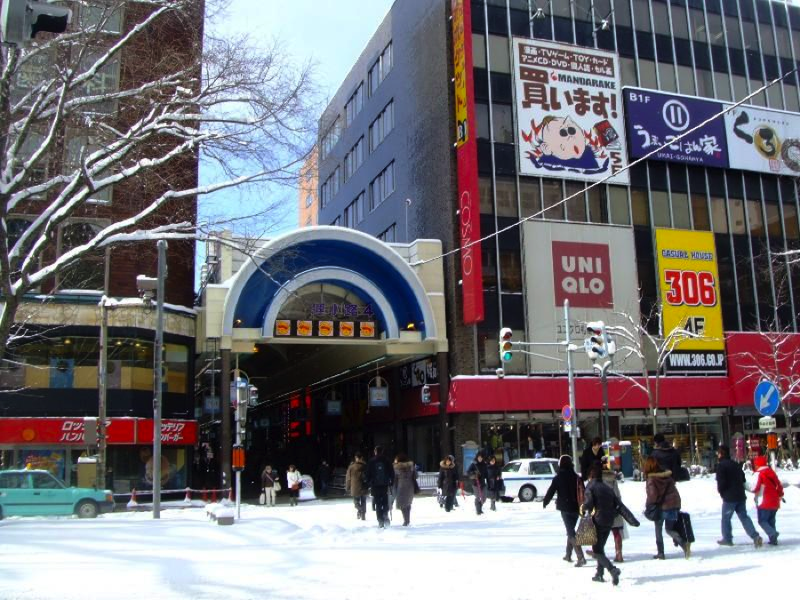 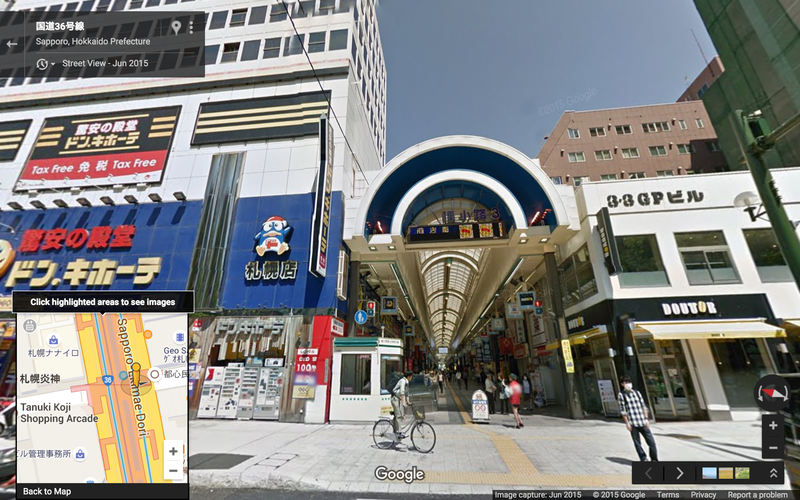 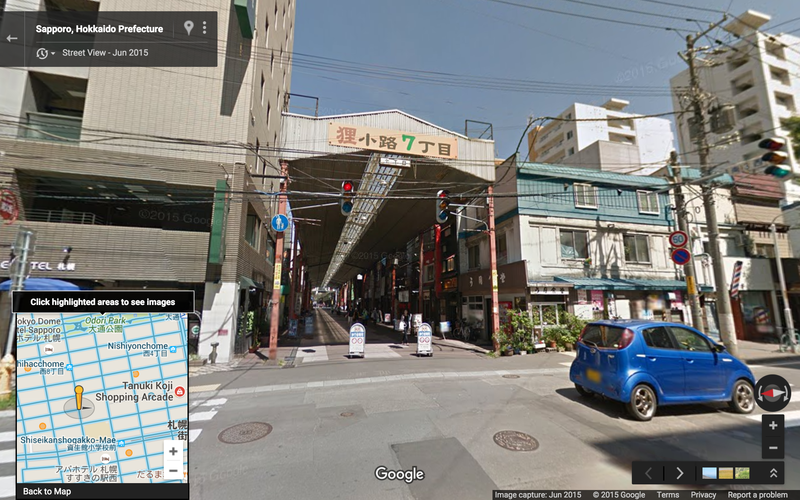 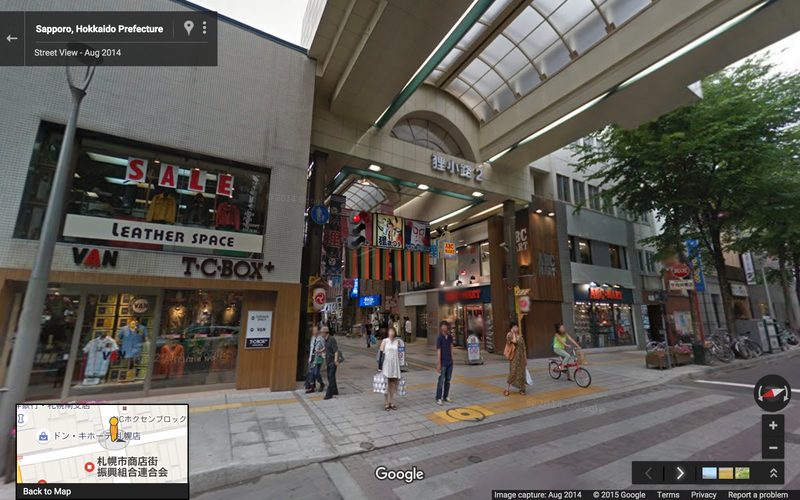 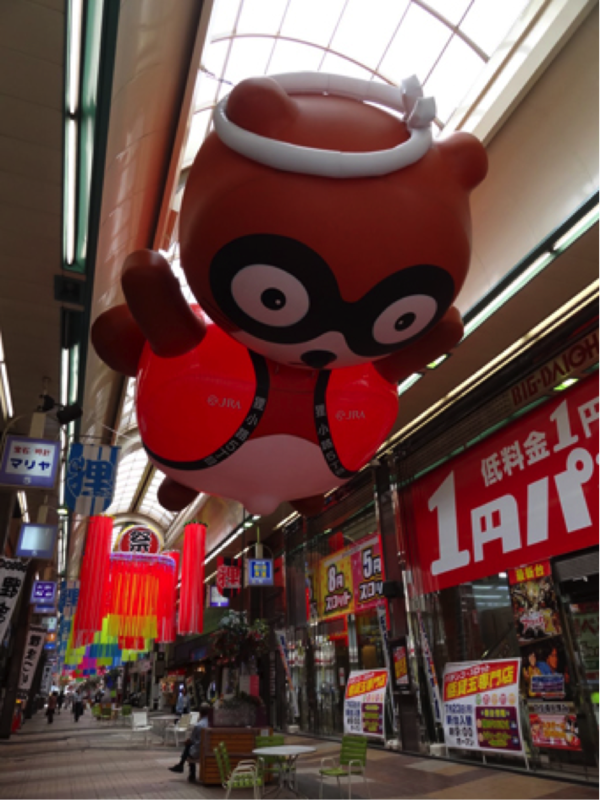 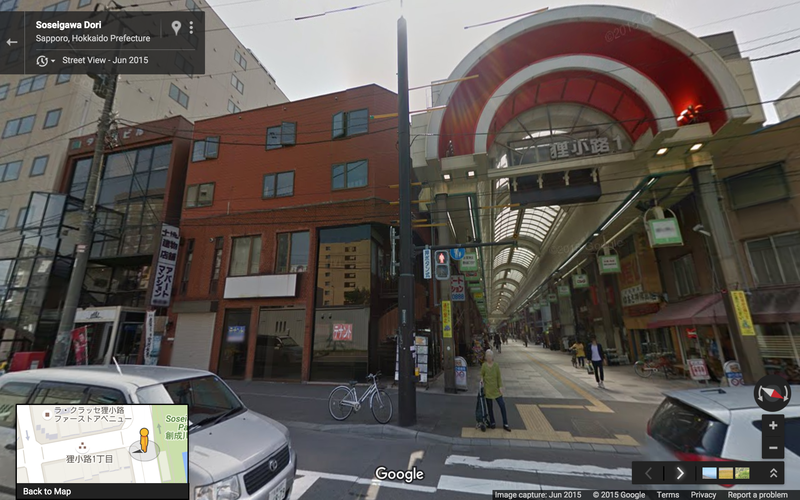 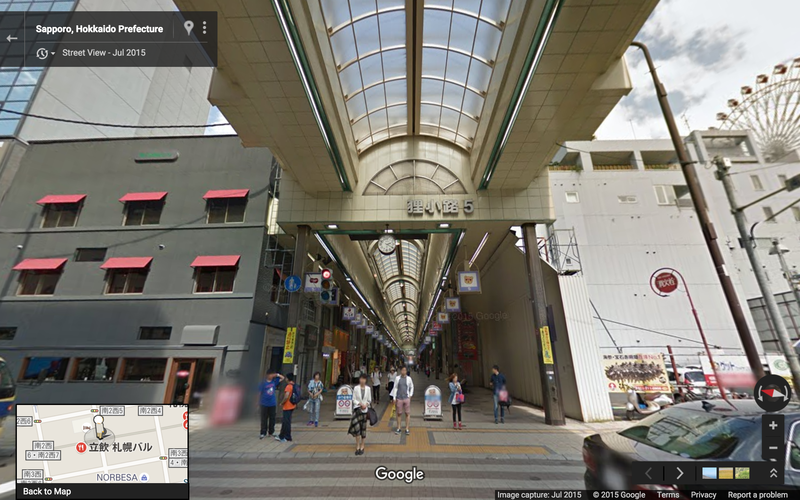 Raccoon Lane (Tanuki Kouji) is a 7 block long covered shopping arcade (全蓋アーケード) in Sapporo. Except for the westernmost block (7-chome), the current structure dates to 1982 (Note 1), and it has been fully covered since 1960 (Note 2). 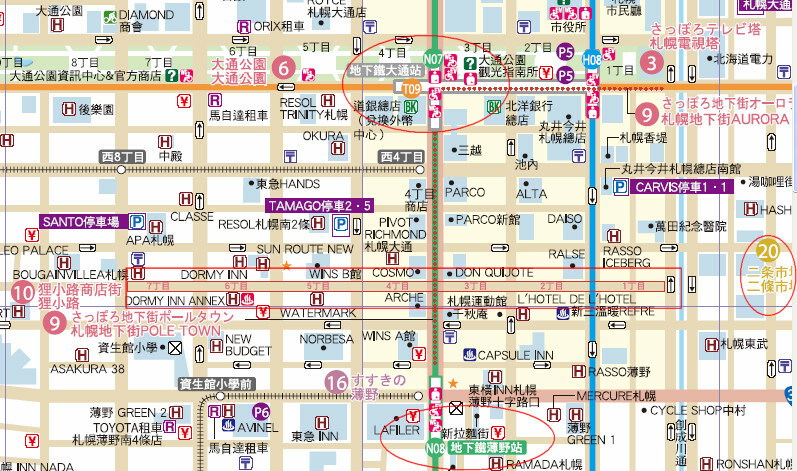 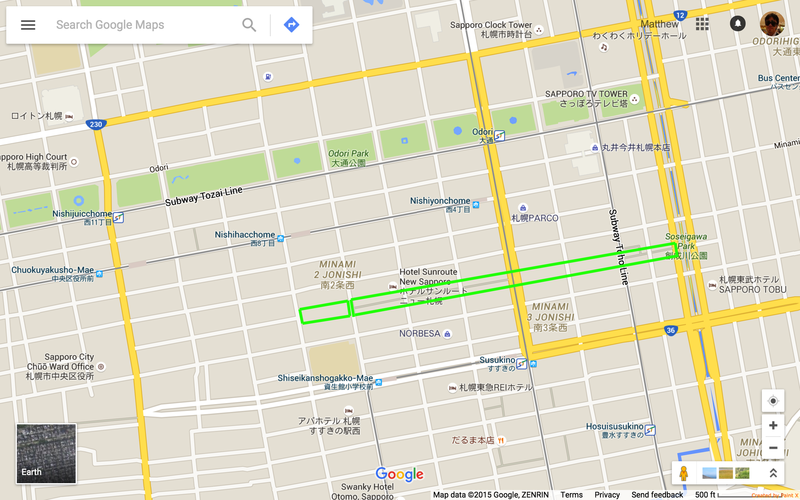 We see that the arcade is served by 3 subway lines, 2 trolley lines, and approximately 20 hotels.